Dental technology has made great strides in recent years, and we have done more than just keep up. Our office features some of the most advanced equipment available, allowing us to thoroughly and accurately perform everything from routine care to complex procedures. Dr. Bryant and Dr. Pavinee are continually researching the effectiveness of new technologies and treatment methods to ensure the best results, for their patients. Porcelain inlays, onlays and crowns provide strong, natural-looking restorations for severely damaged teeth. Through advanced CEREC CAD/CAM technology, we have the ability to measure, fit and place a permanent porcelain restoration (inlay, onlay or crown) in just one visit. 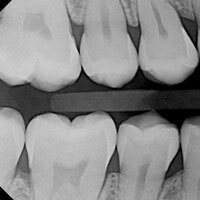 We start by taking a 3D image of your tooth, and then send it to our in-office CEREC machine, which mills your inlay, onlay or crown with lab accuracy from a single block of porcelain. We fit your CEREC restoration right here, saving you time while ensuring you a beautiful look and perfect fit in just one visit. This revolutionary imaging system goes beyond traditional x-rays to give us a more comprehensive, in-depth picture of your teeth and jaws. 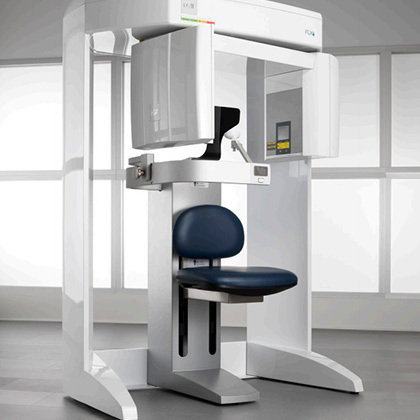 The i-CAT uses Cone Beam 3D technology, which provides high-definition, 3D digital images of all oral and maxillofacial structures. A typical i-CAT scan takes only 20 seconds and produces complete views of the entire anatomic structure of the mouth and jaw. 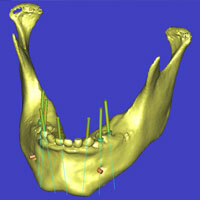 It can be done from a seated position and does not require the patient to place anything in his or her mouth. It also reduces radiation exposure by as much as 50 times compared to medical CT scans. Because the i-CAT gives such a realistic picture of your natural anatomy, it can show us exactly where your implants should be placed for maximum strength, comfort and aesthetics. 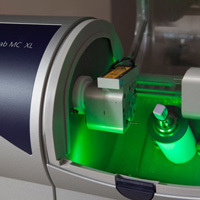 Seattle Specialty Dentistry is one of very few dental practices in Seattle to offer i-CAT scans as part of overall implant treatment planning. This state-of-the-art software processes 3D images from the i-CAT scanner, and aids in the planning and placement of dental implants. The software allows Drs. Bryant and Pavinee to simulate different placement strategies until they find the ideal placement site for that particular patient. Simplant software also helps them evaluate the quality and quantity of a patient’s bone, which also helps predict the success of an implant procedure. All of this takes place before any surgery is done, and gives us unparalleled precision in predicting how the new implants will look and function. Lasers are one of the biggest advancements in dentistry, and our office uses two types — diode and CO2 lasers — in certain soft-tissue surgical procedures. Lasers offer superior level of precision and control for the doctor, and they sterilize the tissue as they work, have less bleeding and have faster recovery times. Our intra-oral camera allows us to see and examine tiny details in the mouth that are hard to spot with the naked eye. The images help us diagnose and treat problems earlier than ever before. Plus, we can also send these images to your insurance company, which can help ensure you receive the maximum coverage possible. Digital x-rays are available for viewing instantly and require only half the radiation of conventional x-rays. Instant viewing helps us make quick, precise diagnoses. The digital x-rays can also be sent electronically to insurance companies, for faster claims. Unlike many dental practices that rely on large-scale commercial labs, Seattle Specialty Dentistry maintains relationships with only a few very small, high-quality outside labs. With close collaboration, we are able to maintain our standards for quality and beauty. We also have a fully equipped dental laboratory on-site, allowing us to control every aspect of the restorative treatment, ensuring you a superior look, feel, fit and function.